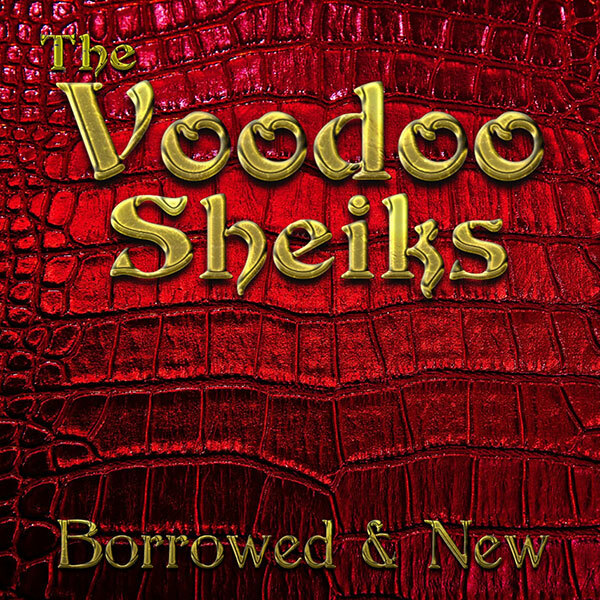 The Voodoo Sheiks first recorded album is called ‘Borrowed & New’. 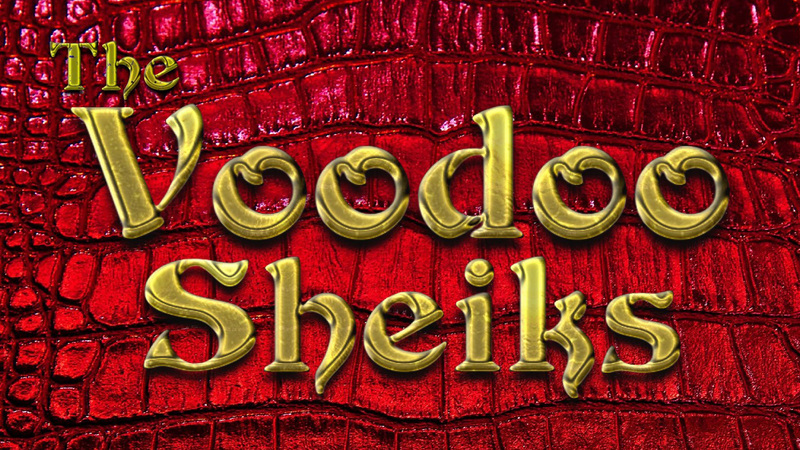 On Thursday 22nd November 2012 The Voodoo Sheiks arrived at Platform Studio in Hurst to start recording the album. Damon Sawyer with his co-pilot Beccy Brennan were about to work their recording, production and engineering magic on us. After setting all the gear up in the various rooms we got to work. Over the next few days we would aim to record five original songs plus seven ‘live’ songs from our set. Day one: We recorded all the drums and most of the bass for the originals. John and Andy putting in some top rhythm section chops to lay the foundation. This was was of course fuelled by a few coffees and tons of enthusiasm. Day Two: We started by finishing the bass tracks. Damon then set us up in the live room and recorded seven songs. The idea was to get that live energy from our gigs onto the album. We definitely succeeded in that! The rest of the day was laying down the guitar tracks for the originals. Adrian was firing on all cylinders with some tight rhythm chops and blistering lead solos. Day Three: Vocals, backing vocals and blues harp was next on the agenda. Dave pulling out all the stops on the lead vocals and sounding amazing. Just when we thought it couldn’t get any better he was onto the harp and laying down some smooth lines. Finally onto the backing vocals to add that little something. Day Four: Mixing and Mastering. Damon was at the helm and putting the final touches to the tracks. 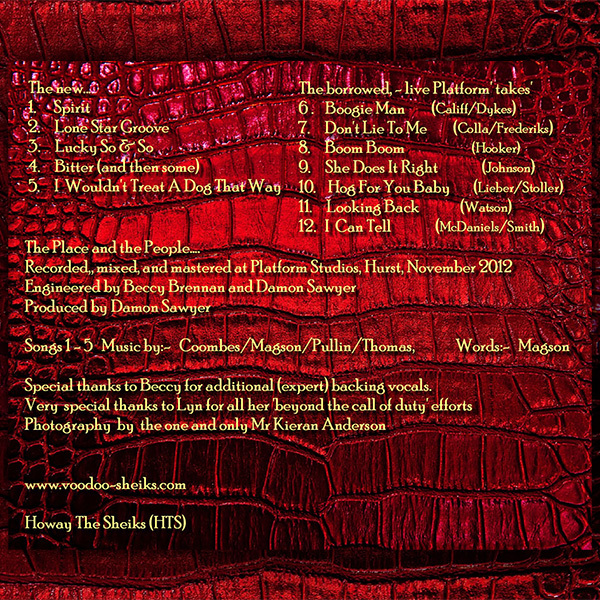 We certainly had a great time in the studio and a big thanks to Damon and Beccy at Platform Studio. You can purchase a copy of our first album for £10 + P&P by clicking the link below.